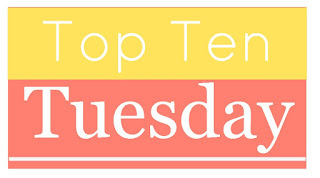 It's Tuesday, which means it's time again for my favorite weekly bookish meme, Top Ten Tuesday. Participating is fun and easy. If you've never done it before, hop on over to The Broke and the Bookish, read over the rules, make your own list, and voilá, you're in! Last week, we talked about the things that entice us to pick up books. This week, we're chatting about the opposite. Which things make you avoid a book like the plague? What are your reading turn-offs? 1. Books that are excessively long. I read a fair amount of chunksters, mind you, but I definitely think twice before picking them up. Also, if a book is endless for no apparent reason, I will most likely not continue reading. 2. Erotica. No. Just ... no. 3. Half-naked people on the cover. These books get an automatic bypass from me. Scantily-clad folks on the cover = a sure sign a book is too "spicy" for my tastes. 4. Naughty words in the title. Do you have little kids? Then you know why you don't want to read books with swear words on the cover. "Mommy, that book has bad words! Why are you reading a book with bad words? What does **&&^^!! mean?" Yeah. 6. Books with poorly written/edited queries. This one goes hand-in-hand with #5. I get dozens of queries every day from authors/publishers/publicists asking me to review the book(s) they have on offer. A clever, well-written/edited query goes a long way toward making me want to read a book. The opposite is also true. If a query contains sloppy prose, typos/grammatical errors, and flat writing, it's a pretty good indication that the book in question is going to be the same way. No thanks. 7. Poetry. Unless a poem rhymes and is written by Dr. Seuss, I probably won't understand it. Poetry makes me feel dumb, so I avoid it. 8. Short Stories. 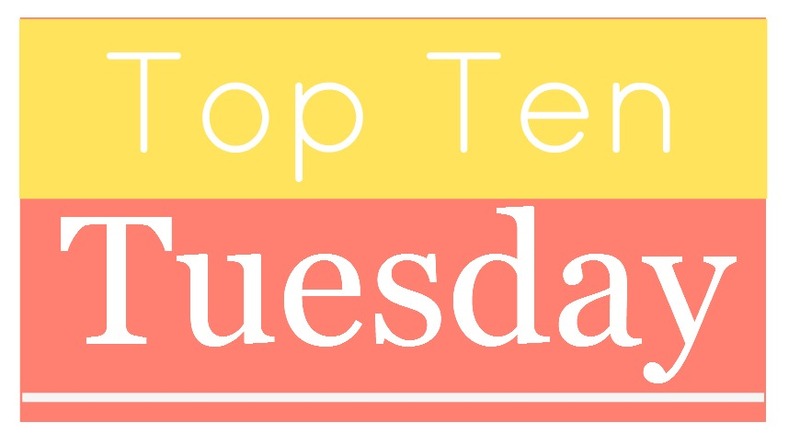 In spite of what I said in #1, I'm definitely the kind of reader who likes to sink into a rich, detailed novel where I can really get to know the characters and the world in which they live. Short stories don't allow this kind of depth, so I rarely read them. 9. Certain authors. Just like I have auto-read authors, I have auto not-read authors. If I've read enough of an author's books to know they're just not my cup of tea, I don't pick up their work. So, what about you? What will automatically make you reject a book? Leave me a comment and I'll gladly return the favor. Really long books are hard for me and I usually avoid them too. Short stories and poetry aren't ones I am too interested in reading either. Great list!! I don't mind long books as long as the story's engaging. If it's not, I will definitely not continue. I think my list would look similar to yours. I'm also turned off by a synopsis that says the MC is inexplicably drawn to the love interest. Gag! Ha ha. Seriously! How many times can the mysterious draw premise be used? I've read that book a million times over! My list would be very similar to yours. Although, I do like big books and I cannot lie, lol. But, the book has to be interesting to make it worth being long(er). Poetry also makes me feel dumb. I'm a very literal person and I don't want to try to guess what someone is meaning when I read their works. On the big books ... exactly! If the story is engaging and I love the characters, then no biggie. If it's just a lot of pointless detail, then no thanks. My third choice was also half naked people on the cover. I don't understand how authors can think this is appealing in any way. I won't even pick it up off of the shelf. With regard to really long books, it depends how engaging the storyline is. If I love it, I don't care how long it is, but if it is just endless details I care nothing about, I'm bored. Yep and yep. I avoid bodice rippers like the plague. And I'm all for long books as long as they're engaging and keep me interested. You know what, I'm not into Ancient Rome or Napolean either. I like historical fiction, but that setting/era just doesn't interest me. I definitely know that I have certain authors I'm not interested in. Yeah, I won't necessarily ban an author from my life based on one book, but if I read more than one that I'm not impressed by, I'm unlikely to try that author again. 4 made me laugh! I can so relate to that one! My 7 year old has decided it's fun to read over my shoulder and I'm suddenly very glad I don't read erotica or super spicy books either! I hate the half naked people covers too though there are a few authors I read who are cursed with those kinds of covers. It makes me very grateful for ebooks! 1,2,3,4...7,8,9,10 yes, yes and more yes! It's like we are kindred book lovers. Interestingly enough I agree with #5 as well, but recently I've noticed more and more self publishers doing it "the right way," going through extensive beta reading, editing, and creating buzz via launch teams and parties. It's given me pause and has led me to think seriously about all available options if and when I'm ready. Thanks for coming by Whispers on Writeria Lane today, I look forward to getting to know you! I agree! I'm glad we found each other. I added your blog on Bloglovin' so I can keep up with you and your reading. I do agree with you on self-publishing - in a way. It is getting better. Sometimes. And a number of authors I really like who have published traditionally have since decided to go indie, so there's that. In general, though, I avoid anything self-published. I love this week's topics--some I agree with, some not so much. I like long books for the most part, but I don't like long books that could've worked better as shorter books. Yes, there are authors out there that everyone loves and I just cannot read what they write--it happens.